Badass + Living Want Glowing Skin In One Month? Eat This. Want Glowing Skin In One Month? Eat This. Did you know that skin can repair itself every 28 days? This gives us an opportunity to heal it with nutrients and vitamins every month. Whether it is a pimple, a sunburn or a lackluster complexion, it all comes down to how much “fuel” the skin has in its arsenal. In addition to food, getting enough sleep as well as watching your alcohol and caffeine intake can also help your skin. Sleep is the best time for the entire body and metabolism to repair itself. You need a minimum of 7 hours to gain the benefit. Alcohol and caffeine can be very dehydrating, which can lead to premature wrinkles and dry skin. You already know to wear sunscreen every day (right?). Now that you have committed to the above, here are few foods to add to your basket to gain a glow. 1 | Salmon and avocado. One of the reasons those who are malnourished have problems with dull, thinning hair and dull skin is because of a lack of fat in their diet. This combination is like sending your face to an internal day spa. Not only are both delicious, they are full of omega-3 fatty acids, the most skin plumping nutrients available in our diet. 2 | Eggs, almonds, wheat bran, swiss chard, halibut and carrots. These foods offer lean protein, biotin and B-vitamins that help protect keratin, the protein found in skin and hair. 3 | Steak, chicken, collard greens and kale. Steak, along with other foods with iron, are great for skin. Iron deficiency can lead to hair loss, brittle nails and dry skin, not to mention low immune system, depression and fatigue. Heme (animal) iron is available in red meat, pork, chicken, turkey and lamb. For non-heme (plant) iron, try sources such as leafy greens like kale, spinach, collard greens and broccoli di raab. For even more absorption add a citric acid like lemon juice to your spinach salad. Or legumes… or seeds! Nuts, legumes and seeds contain vegetable oils that contain vitamin E, a powerful antioxidant. With all of the environmental stresses, sun damage and aging our skin creates lots of free radicals. Antioxidants are natural skin damage and age fighters. Vitamin E is found in foods like avocados as well. 5 | Kefir and plain low fat yogurt. Both are loaded with probiotics. Yogurt has two strains of bacteria that can help regulate your digestive tract while kefir can have up to eleven strains. We all know that when we feel irregular or stopped up it can show on our skin. For added incentive probiotics are shown to improve your immune system and mood. Kefir and yogurt are both filled with calcium and vitamin D; just eat low-fat or 2% rather than fat-free. Fat-free dairy prevents the absorption of calcium and vitamin D, plus, the addition of fat keeps you fuller longer. Bonus: If looking for supplements, add zinc and selenium which will repair the skin too (but not before consulting a doctor). 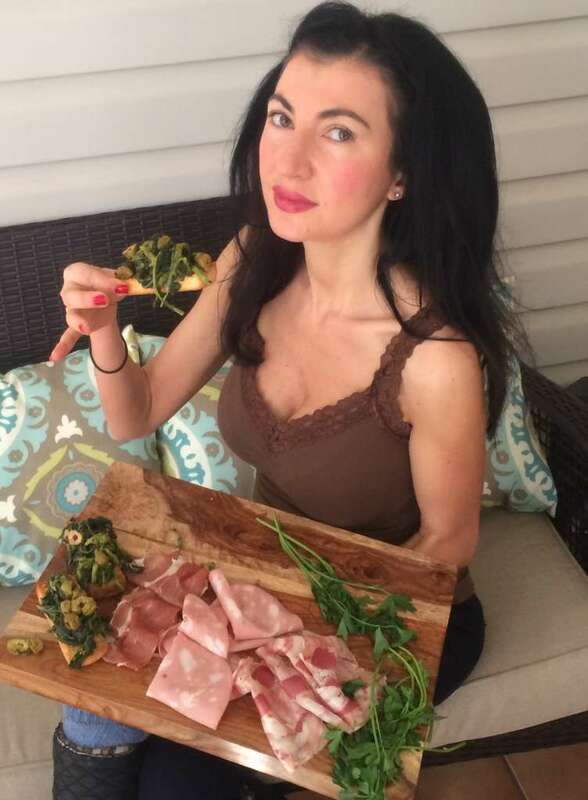 Fiorella DiCarlo RD, CDN is a Registered Dietitian, food and nutrition expert and host and founder of the food blog, FiorellaEats. FiorellaEats is an exploration of food culture through eyes of an Italian-born nutrition curator. She believes in the medicinal value of food with a non-diet approach to health. Food should be delicious, balanced and eaten without guilt. Her healthy cooking videos will show you how with fun easy recipes. She is an expert lecturer on various topics of nutrition and provides one-on-one counseling as well. She is also an expert in eating disorders and prenatal nutrition and wants to help you change your relationship with food!